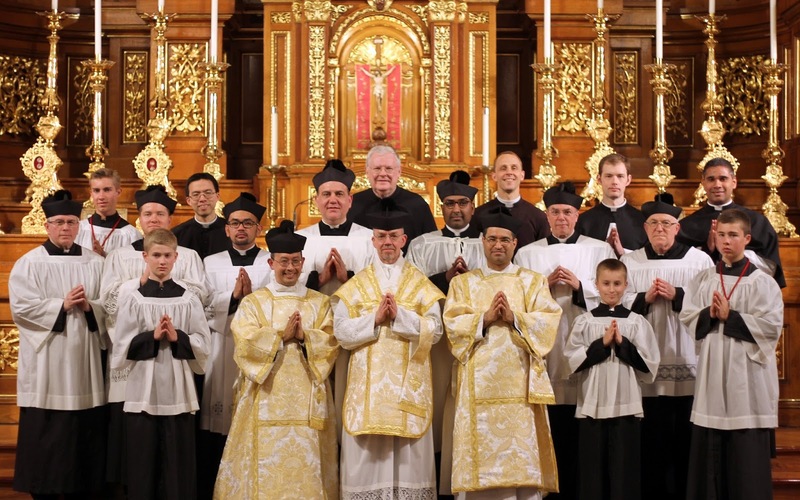 This week priests from across the USA and Canada are with the Canons Regular of St John Cantius learning the ceremonies of the Latin Mass. 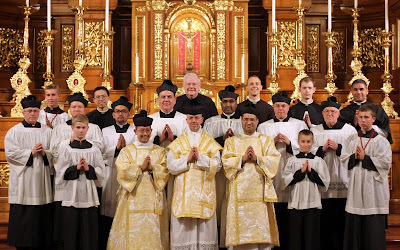 The priests participated in Solemn High Mass for the feast of Mary, Queen of Poland (May 3rd) at Saint John Cantius Church, Chicago IL. Since being asked by Cardinal Francis George, O.M.I. 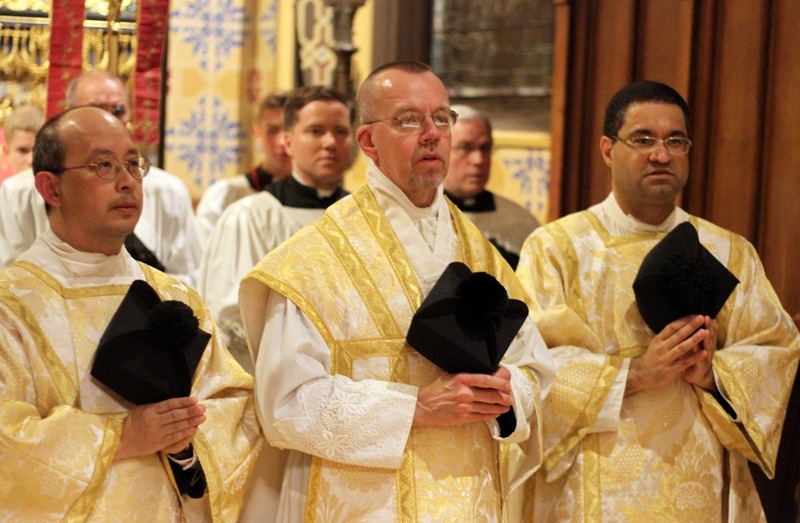 in 2007, the Canons Regular have hosted 65 workshops in the Latin Mass in Chicago and locations around the world, helping over 1,000 priests to learn the Extraordinary Form of the Mass. For more information about these workshops click here.